Golden Mask was selected as the cover image for the SIGGRAPH 1996 conference proceedings. art, principally masks. Masks appear as a regular theme in Csuris art. 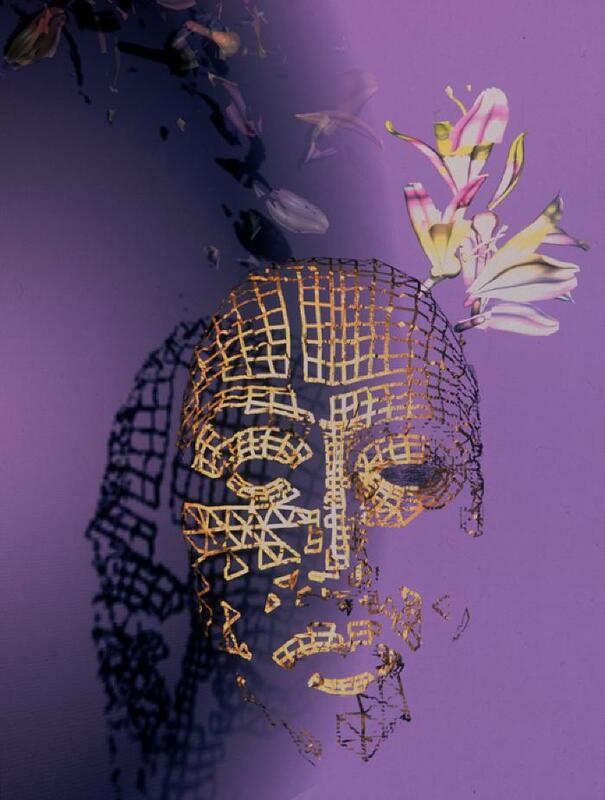 Golden Mask, with its captivating, fragmented gold metal form that is enriched by a deep purple background, is one of the most striking examples to contain this motif. The artists choice of subject matter, color and lighting gives the work a regal quality.